With excess sodium being a major health issue, people are looking for a healthier alternative to salt without loss of flavour As the UK’s no. 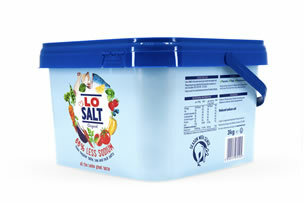 1 reduced sodium salt, LoSalt offers 66% less sodium than regular table, sea and rock salts. 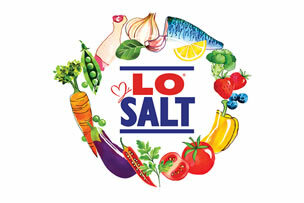 LoSalt is the healthier alternative for seasoning, cooking and baking, without compromising on flavour. Perfect for using back of house in all cooking and seasoning. Customers will not notice the difference in flavour. Perfect to bring a healthier choice for your front of house. Ideal for use on tables or serving trays or in dispensers and food-to-go orders. 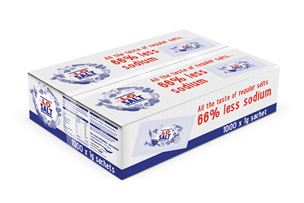 Compliments your range of healthier sachets alternatives in sweeteners and sauces.